This residential 2024 Sq. Ft. house built in 1995 3 bedrooms, 2 bathrooms, 1 half bath, Smithville, AR 72466 Hillcrest school district in Lawrence County. This house has 2 large shops one 26 x 84 one smaller 24 x 30, the large shops once set up to have parties and dances complete with bar area and dance floor, the smaller was used as a shop to do wood working. The house has 2 bay windows, large eat in kitchen with enough room for a farm table that sits 8, an island and tons of cabinets. The land has 2 large ponds with tons of wild life. 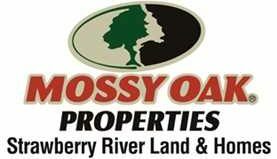 whitetail deer, turkey, rabbit, squirrel, freshwater fishing, hiking trails, bird watching, ATV trails. Any mineral rights will convey. This property has it all !! !